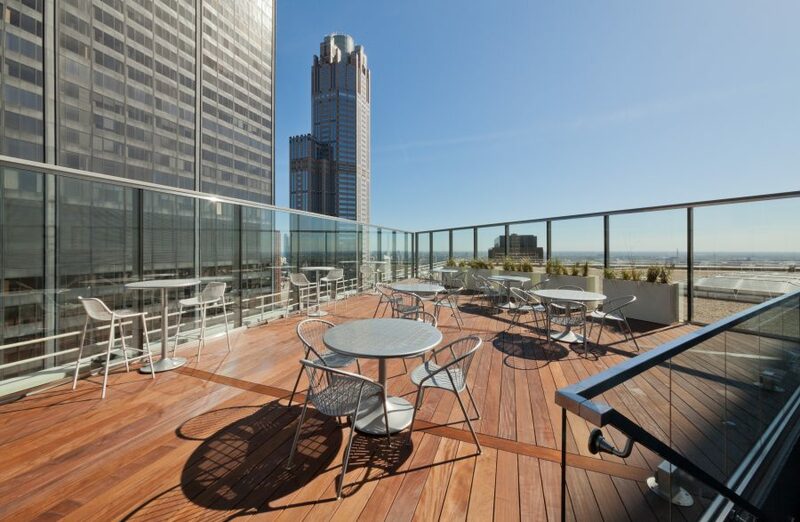 200 S Wacker is a Class A commercial office building in the heart of downtown Chicago. 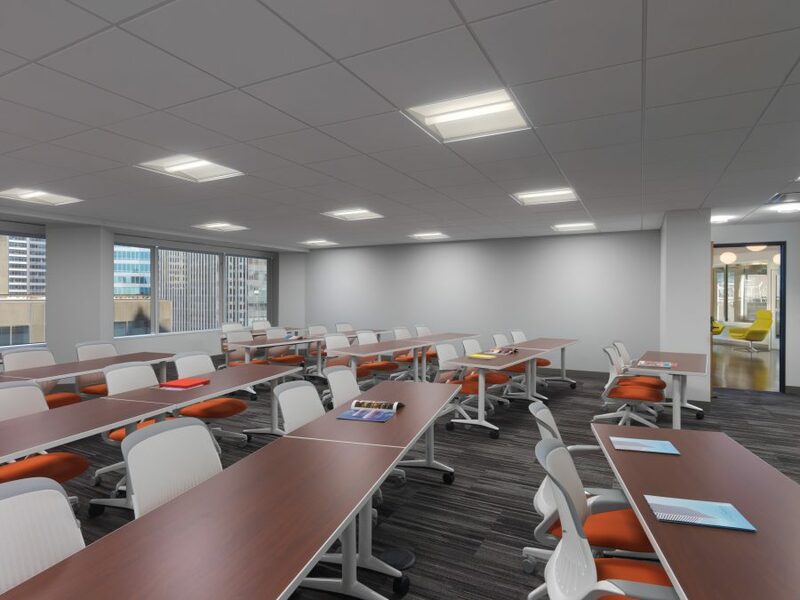 Located at the corner of Wacker Drive and Adams Street along the Chicago River, the building offers panoramic views and an abundance of natural lighting, but needed an update. 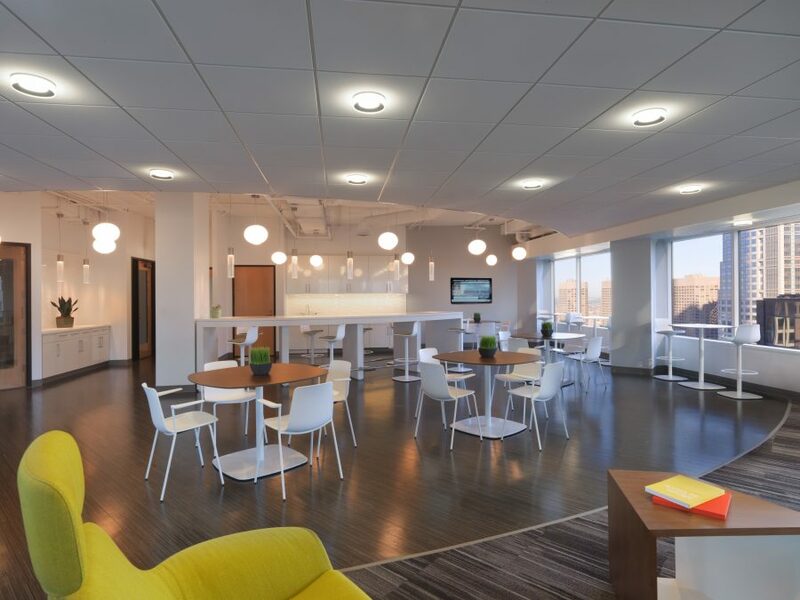 Following an ownership transition, 200 S Wacker was refreshed in order to help attract new tenants and businesses. 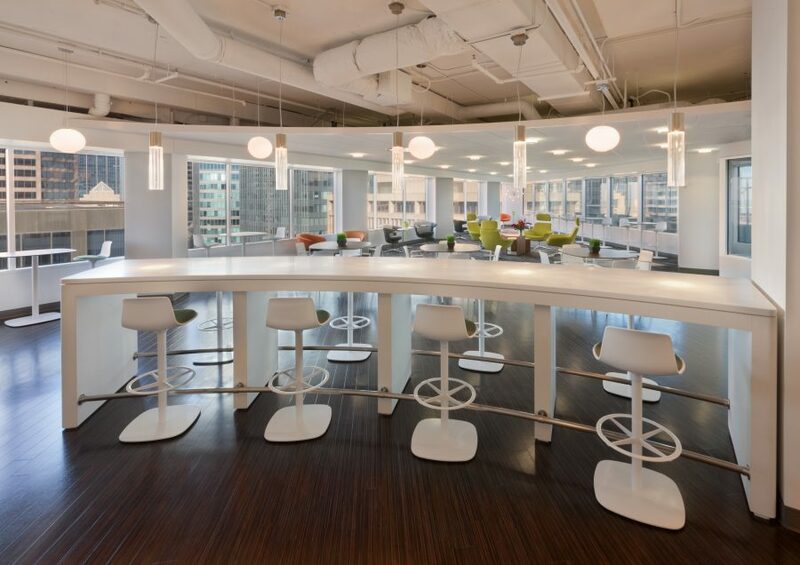 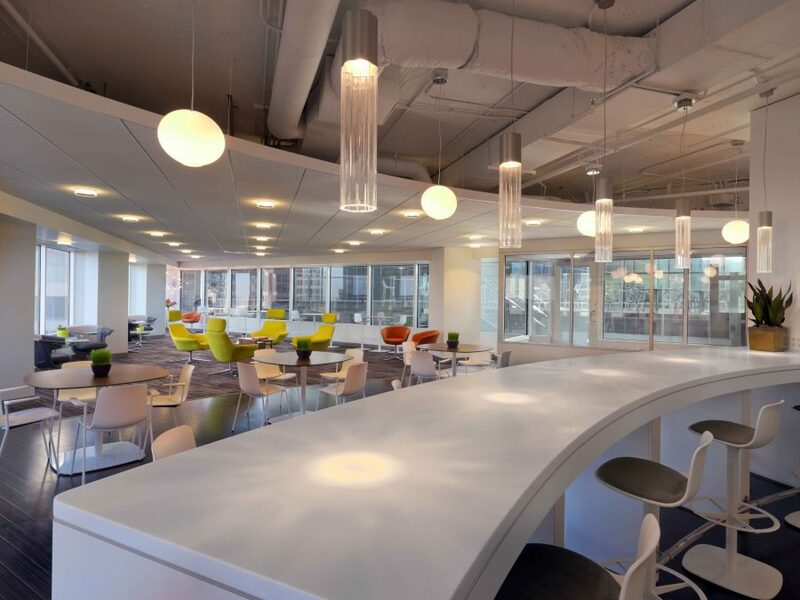 The project consisted of repurposing existing space to incorporate amenities such as a roof deck, Wi-Fi lounge, coffee bars, and training and conference facilities. 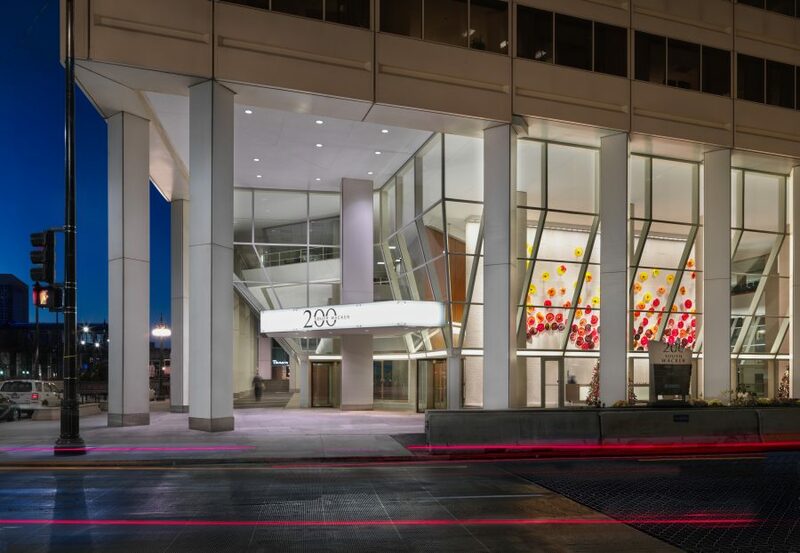 The lobby and entrance canopy also set the new tone and brand for this repositioning project.